1. 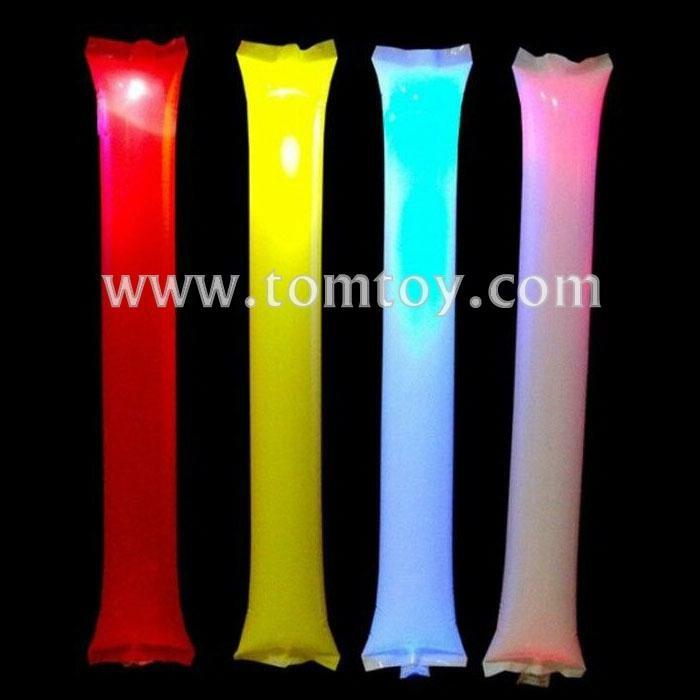 LED lights glow sticks can be used for a wide range of creative parties and activities. 2. EASY TO USE: Conveniently designed so that you can inflate and use within seconds. Just pull the tab to turn on hours of fun. 3. ECO FRIENDLY & EASY TO DISPOSE: The inflatable tube is made of recycled materials. 5. Batteries are included and installed, last 8+ hours per stick.